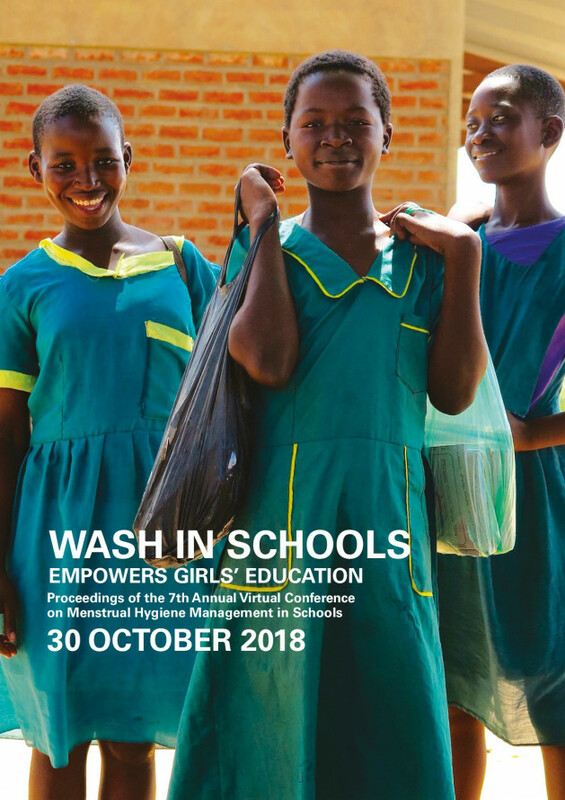 Burgers, L., Yamakoshi, B., Serrano, M. WASH in Schools Empowers Girls’ Education: Proceedings of the 7th Annual Virtual Conference on Menstrual Hygiene Management in Schools, United Nations Children’s Fund, New York, 2019. The 2018 virtual conference on MHM in schools was held on 30 October 2018 as part of the Water & Health Conference, hosted by the Water Institute at the University of North Carolina at Chapel Hill in the USA. It was streamed online for the second year, reaching an estimated 1,300 participants around the world. The registered participants represented the increasing diversity of the global MHM community, with over 100 countries represented. The presenters covered work on MHM that spanned countries and regions across the world, but they identified shared challenges in programme design, implementation, and monitoring.